Be charmed by the rustic nature of Kranji Marshes, a 56.8-hectare freshwater marshland that is home to unique biodiversity. Located along the northwestern shore of Kranji Reservoir, it is one of the largest freshwater marshes in Singapore. Kranji Marshes is home to a rich array of flora and fauna, including more than 170 species of birds, 54 species of butterflies and 33 species of dragonflies. Together with Sungei Buloh Wetland Reserve, it provides an important habitat in the Kranji area for the conservation of biodiversity, especially marsh birds. With a range of natural habitats such as freshwater marsh, woodland and grass habitats, Kranji Marshes is a great place for visitors to observe and enjoy nature. Throughout the year: Walk along Neo Tiew Woods and look out for birds and reptiles, such as woodpeckers and monitor lizards. Often, a Changeable Hawk Eagle or White-bellied Sea Eagle can be seen perching on one of the tall trees. At the Marsh Station, visit one of the bird hides for a chance to observe shy marsh birds such as the Purple Swamphen and Common Moorhen. Enjoy a panoramic view of Kranji Marshes and Kranji Reservoir from the top of Raptor Tower. Seasonal from November to March: During the raptor migratory season, look out for visiting species such as the Black Baza and Japanese Sparrowhawk from the top of Raptor Tower. 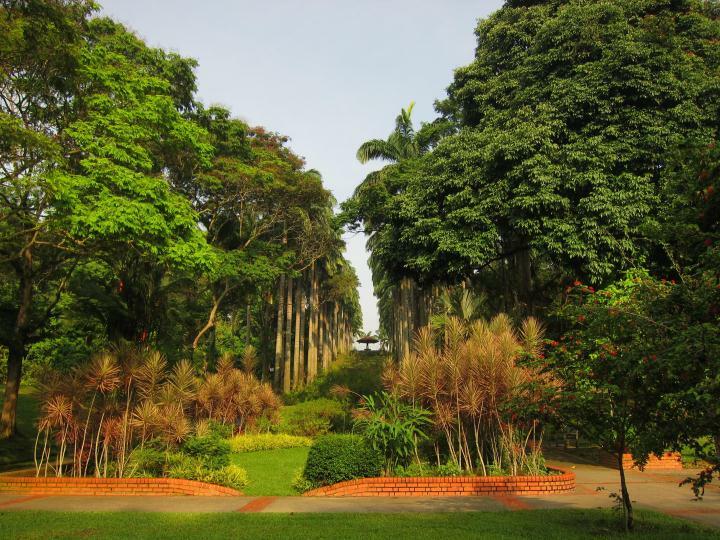 The Core Conservation Area is an ecologically sensitive habitat and is closed to the public, except for activities approved by NParks. For directions on how to get to Kranji Marshes, view this clip. Take the Kranji Express bus from Kranji MRT Station which operates daily from 8.30 am to 5.45 pm. Bus schedule details can be found here. From Kranji Gate, it is an approximately 1 km walk along Neo Tiew Lane 2 to the observation tower. There is also an additional bus service (on top of the daily Kranji express service) on weekends and public holidays. This additional service will only stop at selected stops indicated in the bus schedule found here. Tickets can be used interchangeably on the same day for both Kranji Express and Kranji Weekend and Holiday Express. A car park with 20 parking lots, 10 motorcycle lots and 30 bicycle lots are available at Kranji Gate. Visitorship is managed at Kranji Marshes to minimise any disturbance to the natural environment. If your group size is 120 people and above, please call 67941401 or email application form to nparks_sbwr@nparks.gov.sg in advance. The terrain is rugged at parts and may be unsuitable for younger children. Prepare adequately, such as wearing proper footwear, bringing sufficient water, and a hat to shield themselves from the sun. As there is no lighting in the evenings, the nature area is open from 7am to 7pm for safety reasons. The area is home for many native animals. For their well-being, please do not bring dogs or other pets into this nature area. As this is an ecologically sensitive area, cycling is not allowed as it may disturb the wildlife there. Please park your bicycles at Kranji Gate. 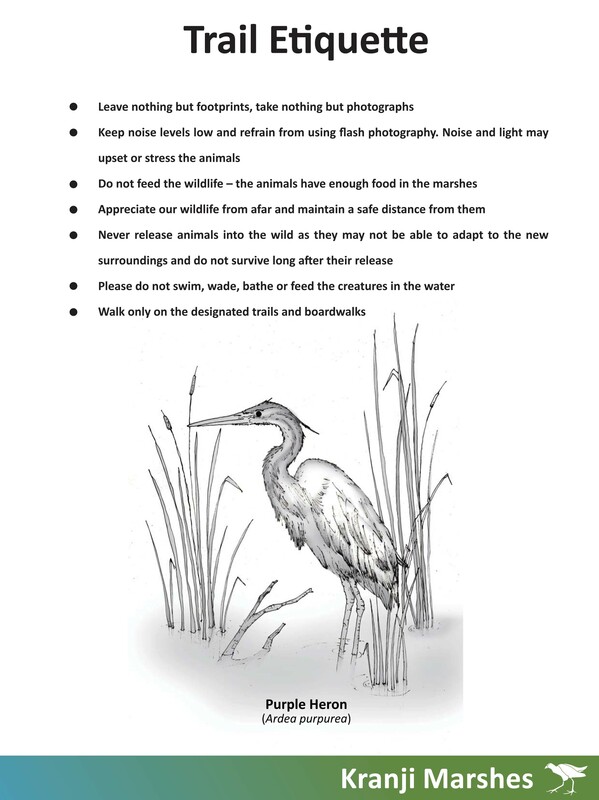 Do keep to the designated trails and appreciate any animals you may see from afar. Do avoid visiting the nature area during a storm, or seek shelter immediately if it rains while you are within the nature area. Please remember to take only what you have brought in, and leave nothing behind but footprints. Throughout the year: Look out for resident birds such as eagles, kingfishers, woodpeckers, herons, bitterns and swamphens. Free guided walks are conducted once a month, on Saturday evenings. Explore and learn more about the nature area from the experienced and knowledgeable guides who will take you around. 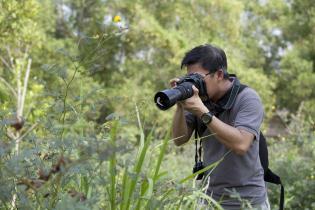 Shutterbugs will enjoy photographing a wide variety of flora and fauna at Kranji Marshes. Photographers are encouraged to submit photos to Sungei Buloh Wetland Reserve at nparks_sbwr@nparks.gov.sg and hastag #nparksbuzz when you share your photos. From time to time, selected photos will be used for our publications. Enjoy the flora and fauna in this nature area. Leave nothing but footprints, take nothing but photographs. Keep noise levels low so that the peaceful silence of nature can be fully enjoyed and appreciated by everyone. Appreciate our wildlife from afar and maintain a safe distance from them. Walking only on the designated trails and boardwalks will protect the vegetation and the plant and insect life there. For your own safety and that of others, no motorised vehicles, bicycles, skates and skateboards are allowed in the park. Water in the marshes is an important part of the ecosystem. Please do not swim, wade, bathe or feed the creatures in the water. Please refrain from feeding or releasing animals into our parks or nature reserves. Doing so may upset our fragile eco-system and cause more harm than good. It is our responsibility to conserve the living things in our nature area, both for our enjoyment and that of our future generations. For the well-being of our native flora and fauna, please abide by the Parks & Trees Act (Cap. 216) and the Parks & Trees Regulations (Cap. 216, R1). For enquiries, please contact NParks helpline at 1800-4717300. The West Marsh, within the Core Conservation Area of Kranji Marshes, is a special area designated for the conservation of marsh birds. To minimise disturbances to these shy animals and other wildlife, access to this section is restricted to guided activities organised by NParks and its partners. Several times a year, visitors can access this section when NParks volunteers (the 'Kranji Marshals') conduct station-guiding. They will be stationed at the hides and strategic locations to help you appreciate the beauty of the marsh habitat. This is a hilly park opposite Ang Mo Kio Community Library.